Apple today responded to the throttling controversy surrounding the latest MacBook Pro models, noting that excessive performance degradation under extended workloads is the result of a software bug, with a fix rolling out now in the form of a Supplemental Update for macOS High Sierra 10.13.6. Following extensive performance testing under numerous workloads, we've identified that there is a missing digital key in the firmware that impacts the thermal management system and could drive clock speeds down under heavy thermal loads on the new MacBook Pro. A bug fix is included in today's macOS High Sierra 10.13.6 Supplemental Update and is recommended. We apologize to any customer who has experienced less than optimal performance on their new systems. Customers can expect the new 15-inch MacBook Pro to be up to 70% faster, and the 13-inch MacBook Pro with Touch Bar to be up to 2X faster, as shown in the performance results on our website. The controversy began a week ago, when YouTube tech guru Dave Lee shared a video demonstrating that the new 15-inch MacBook Pro, maxed out with a six-core Intel Core i9 processor, was unable to maintain its base 2.9GHz clock speed while rendering a five-and-a-half minute 5K video in Adobe Premiere Pro. In fact, the previous-generation 15-inch MacBook Pro with a Core i7 processor rendered the video in around 10 percent less time, a fact that wasn't well received by customers, some of which threatened to cancel their orders. 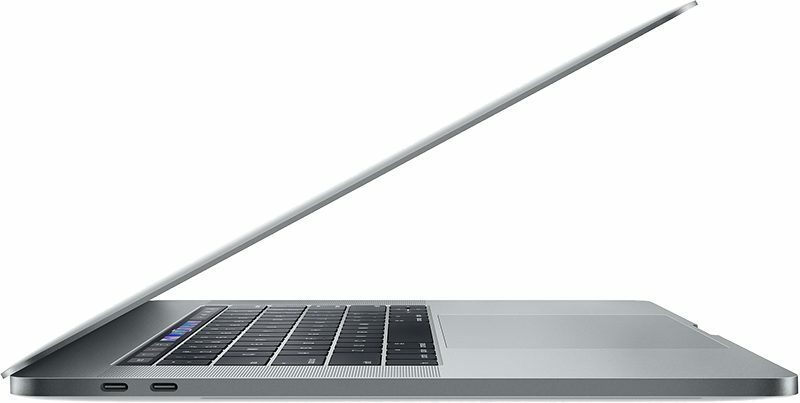 Apple says the bug affected performance on not only the high-end 15-inch MacBook Pro configured with a six-core Intel Core i9 processor, which has faced the most extreme throttling in tests, but also quad-core Core i7 and Core i5 configurations, extending to the latest 13-inch MacBook Pro with Touch Bar models. Some amount of throttling is to be expected on notebooks under heavy thermal workloads, especially ones as thin as the MacBook Pro. Lee, however, argued it is the degree of throttling he experienced that is unacceptable. Apple says it contacted Lee within 48 hours after he published his video, working with him to replicate his workflow. Apple eventually set up a system with a similar workflow, applied the fix, and both the 15-inch and 13-inch models then matched Apple's advertised performance rates. A flurry of other YouTube videos and tests surfaced in the ensuing days, with mixed results based on varying workloads. Marques Brownlee, who hosts the popular channel MKBHD, said the 15-inch MacBook Pro with a Core i9 exported his 8K sample video about 15 percent quicker than the previous 15-inch MacBook Pro with a Core i7. Faruk Korkmaz, who runs the YouTube channel iPhonedo, also found the Core i9 to perform "fantastic." Apple for its part said it never experienced any issues with excessive performance degradation in its pre-production testing of the 2018 MacBook Pro, completed in June. The company did identify what it calls an isolated bug after digging deeper, and came up with what it calls a simple fix. To be expected, Apple also talked up the new MacBook Pro, noting how most of what it has been hearing about the notebook from customers—including many professionals—has been very positive, including about performance. Prior to Apple acknowledging this bug, speculation had mounted as to possible causes. One user believes that the throttling may have related to the power delivery chip, known as a voltage regulation module, reporting an over-power condition, throttling the CPU clock speed to scale back power. In any case, it appears that Apple has addressed the problem. That was addressed pretty quickly. Good on Apple. Very hard to believe Apple could not detect it given the workflow that exposes it (very normal video exporting). Its good its fixed supposedly, but Apple does not look good here. If they actually performed "extensive testing" and failed to use Adobe Premier Export... thats not a good look. Apple probably should've issued "we are investigating the issue" earlier, but I am very pleasantly surprised by the update. Dave Lee is a real jerk for besmirching Apple’s name right after they had just launched a well received refresh after months of complaining about not having Coffee Lake and keyboard problems. Apple just can’t get a break. Seems like every other person is just out to damage Apple’s rep. With the iMac Pro it was Linus, breaking a new $5000 machine. All YouTube tech vloggers should be put of out of business. I don't understand the hatred towards the YouTube vloggers. How is Dave Lee a jerk? Did you not read "Apple says it contacted Lee within 48 hours after he published his video, working with him to replicate his workflow." I say bravo for pointing out this issue in the first place. I'd much rather a reviewer point out the problems they've noticed versus just singing praises and ignoring any issues. It obviously got the attention of Apple and they started working on a fix. As far as Apple getting a break, they've managed to shoot themselves in the foot lately. And there you have it. As suspected a software bug. This is exactly why I pay no attention to youtubers ever. And who brought up the issue to Apple? Seriously? They had to do zero testing not to catch that. "Software bug." Doubt it. But let's see if it actually fixes the issue.